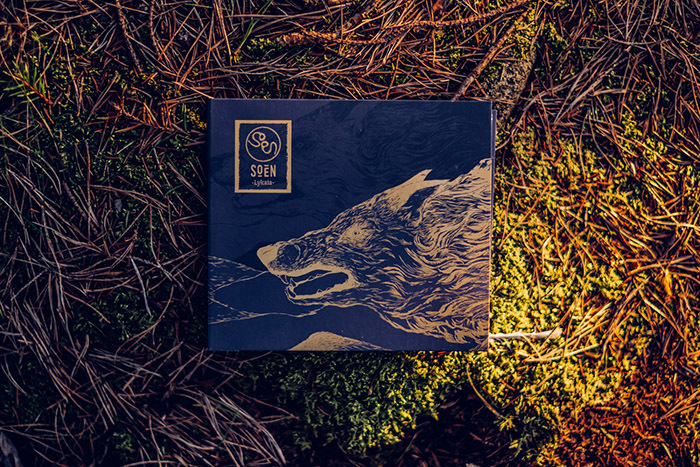 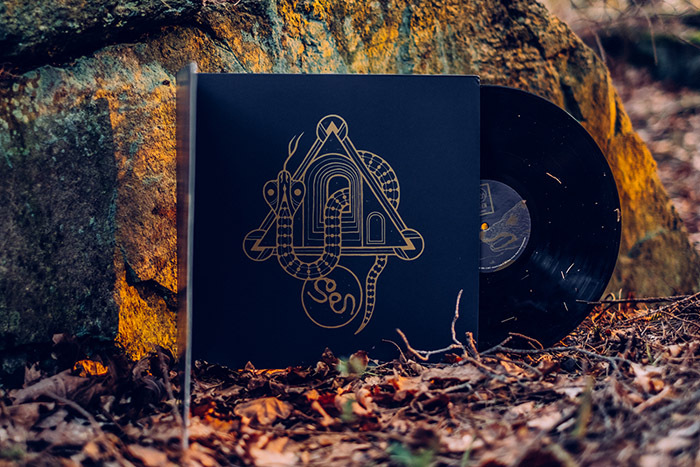 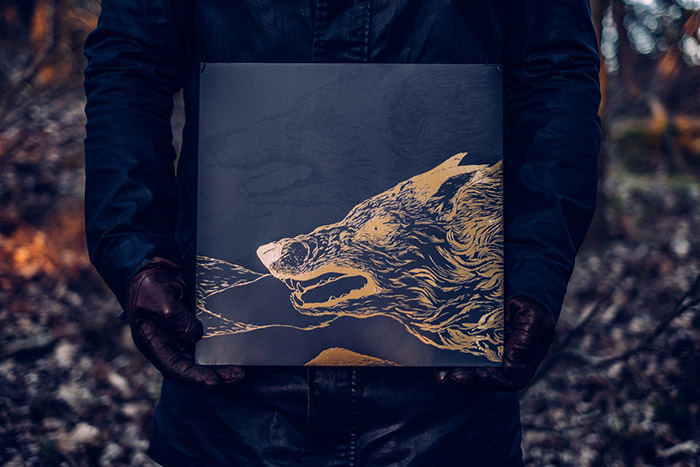 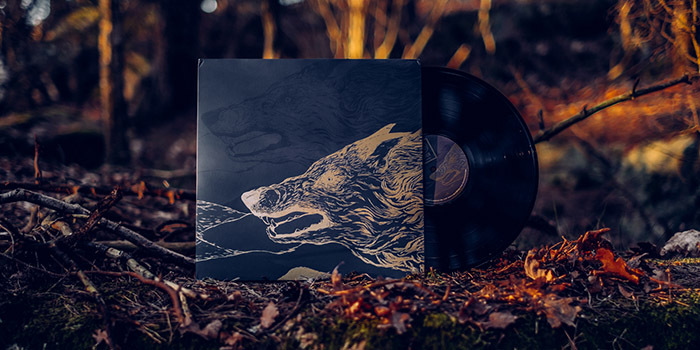 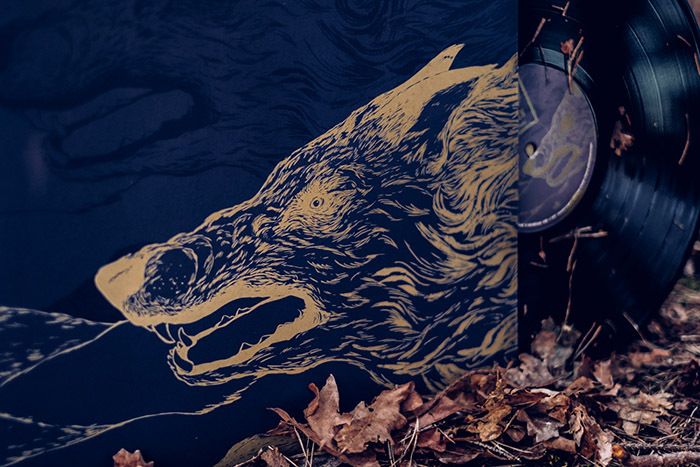 The vinyl and CD cover for SOEN was created with the inspiration of the wolfs surrounding. 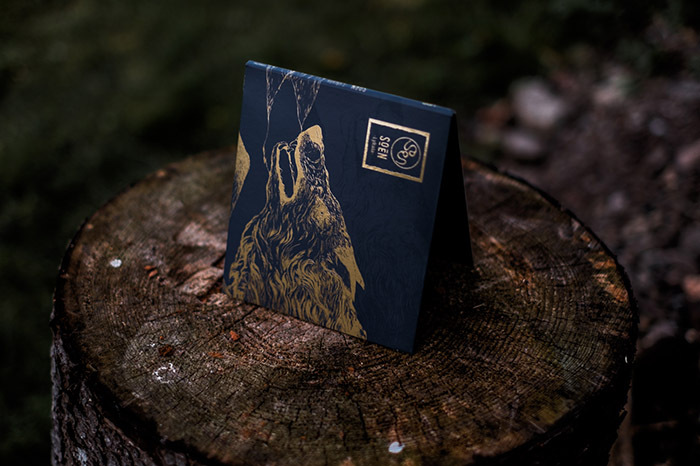 The golden light that hits thru the forest just before the darkness hits the forest has been the inspiration of the gold for the cover. 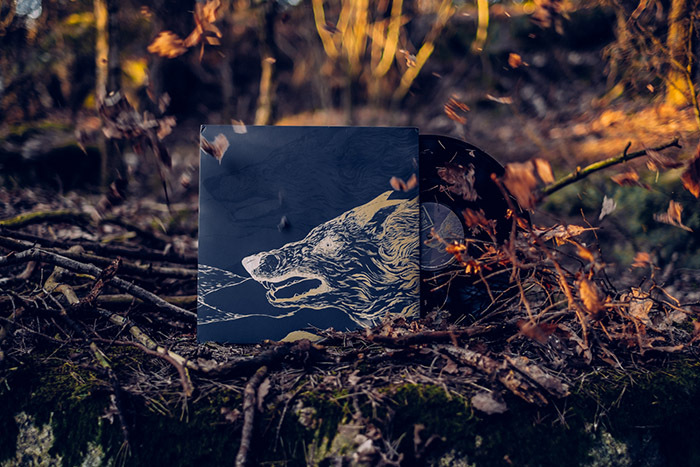 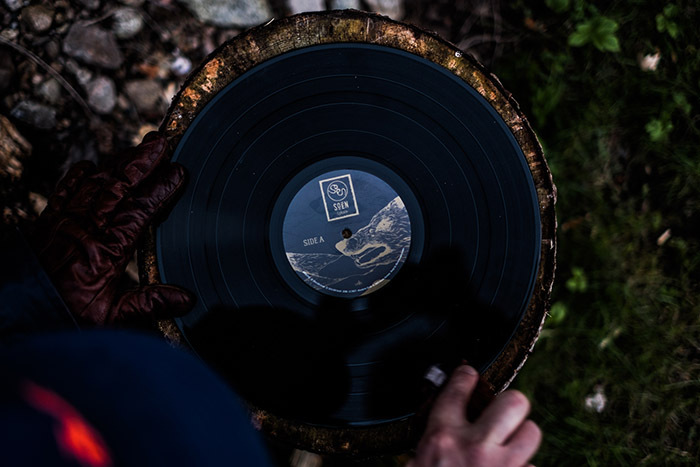 And the dark blue color is the darkness of the forest and the depth in music. 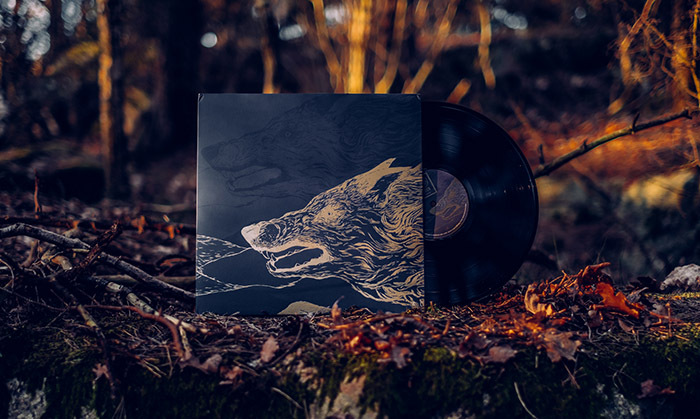 The vinyl is a gatefold och the CD is a digisleeve. 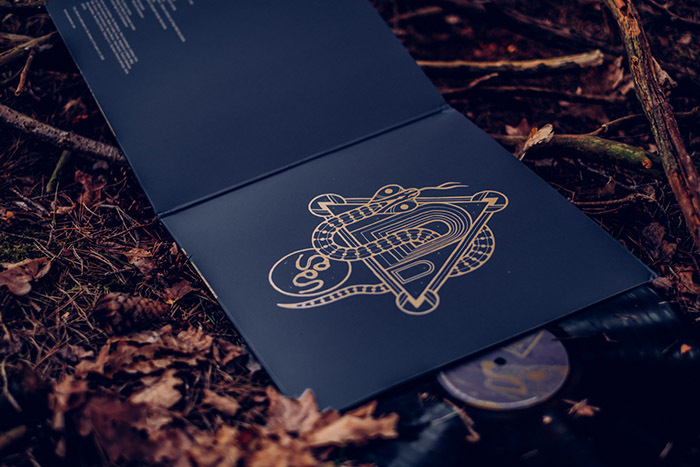 The gold details have been UV coated so that you can feel the lines from the graphic on the cover. 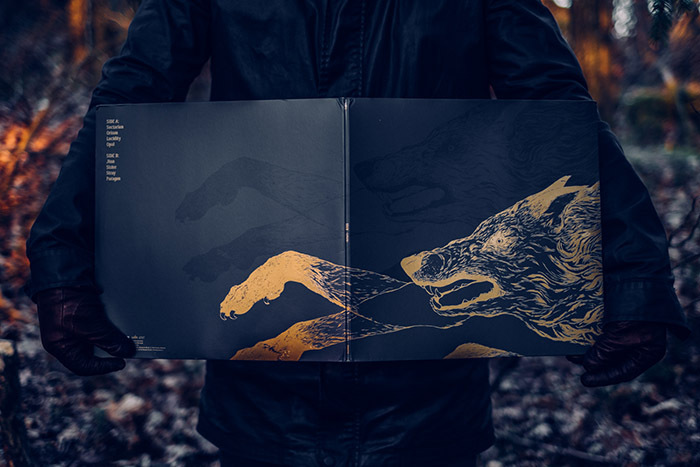 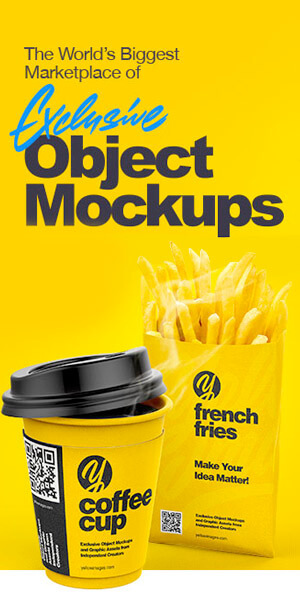 This makes it stand out from other covers.